The MS Sydney to the Gong Ride has partnered with Novotel Wollongong Northbeach and Novotel Sydney Brighton Beach to offer fantastic accommodation discounts to MS Gong Ride participants, family and friends. Book your family and friends into Novotel Wollongong Northbeach, so they can cheer you across the Finish Line. Or encourage friends and family to stay at Novotel Sydney Brighton Beach and be up early to show their support as you start your ride. Car parking is available in both locations for your convenience. All bookings need to be made directly with the hotel and are subject to availability. The Novotel Sydney Brighton Beach offers premium 4.5 star accommodation, overlooking the beautiful white sandy beaches of Brighton Le Sands and Australia's famous picturesque Botany Bay. 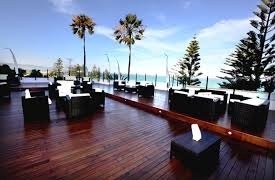 The hotel has a spacious and relaxing Sydney beachside feel, superbly located in the heart of Brighton Le Sands. The hotel’s resort facilities will not disappoint with its extensive outdoor pool with sun beds and separate tier areas to select from. All bookings must be made by calling the hotel directly on 02 9556 5111 and quote "MS041118" to receive the special discount. No third-party transactions will be able to book these rates. Please note that all rates quoted above are in Australian dollars and include 10% Government tax. Subject to availability. 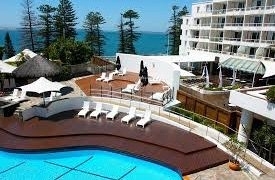 Check in to 4-star comfort at Novotel Wollongong Northbeach opposite the surf-patrolled beach. Your welcoming modern room panorama windows make the most of superb sea and mountain views. A surf or a beachfront jog and a delicious buffet breakfast with a Pacific Ocean backdrop get your day off to a sunny start at Novotel. All bookings must be made by calling the hotel directly on 02 4224 3111 and quote "MS Gong Ride" to receive the special discount. No third-party transactions will be able to book these rates. Please note that all rates quoted above are in Australian dollars and include 10% Government tax. Subject to availability.